It's starting to look and feel better as it goes but I'm definitely feeling the burn LOL To make up from missing out on Mani Monday I decided to get creative with my nails without having them take up a very long time as I tend to sit in strange positions when I work on my nails and the combination of sunburn and sitting like a weirdo don't mix haha. Out comes my OPI Black Spotted! I managed to scoop this baby up and have only played with it once before. 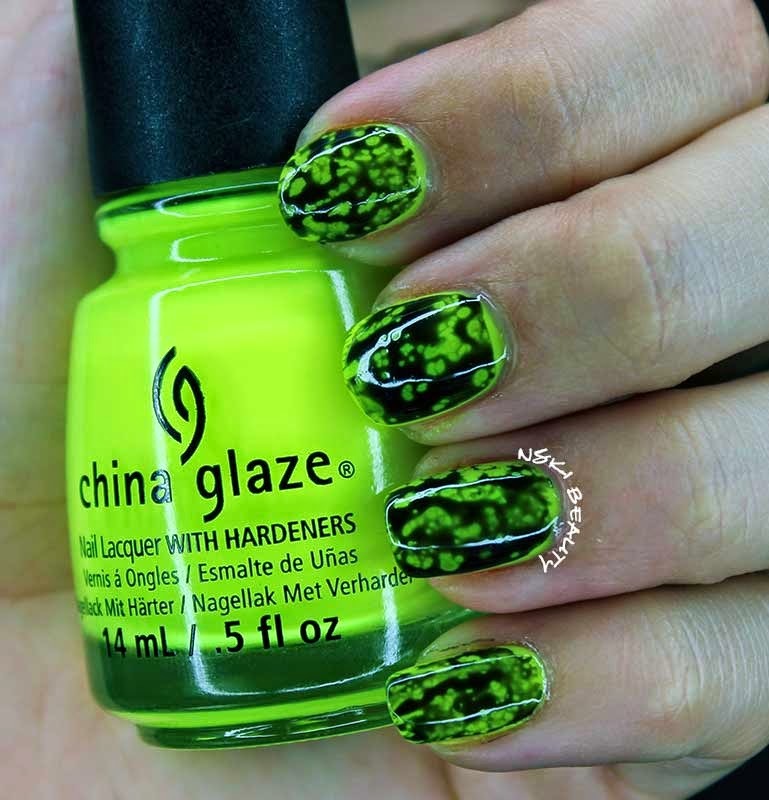 And with summer neons are on the prowl, however I didn't want to just do a simple neon color and I thought China Glaze Celtic Sun would look AMAZING with Black Spotted and wallah it's magical! 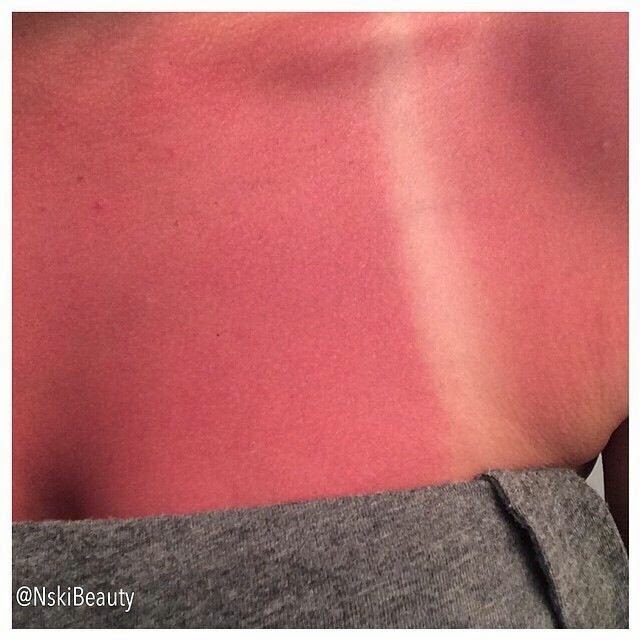 Woah, that is some sunburn. 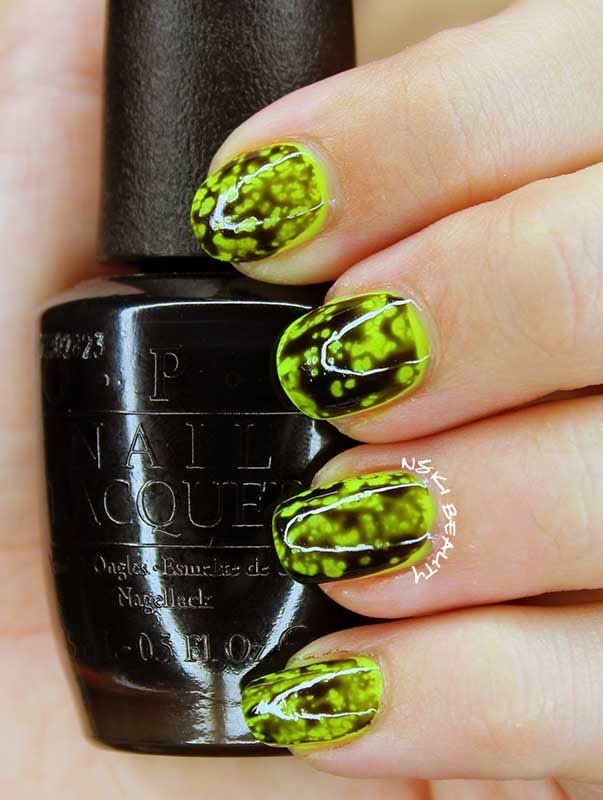 Love the nail patterns. Very cool! That is so cute but OUCH for the sunburn! ooh you poor thing that sunburn looks bad. but love the nails. i'd like to try it with other colors too. That's an interesting contrast to the crackle styling, I think I like this better. As far as the color, just painted my toes neon pink this morning! Ouuuucchhhh what a bad burn. That soooo looks like it hurts. I love the nails though. 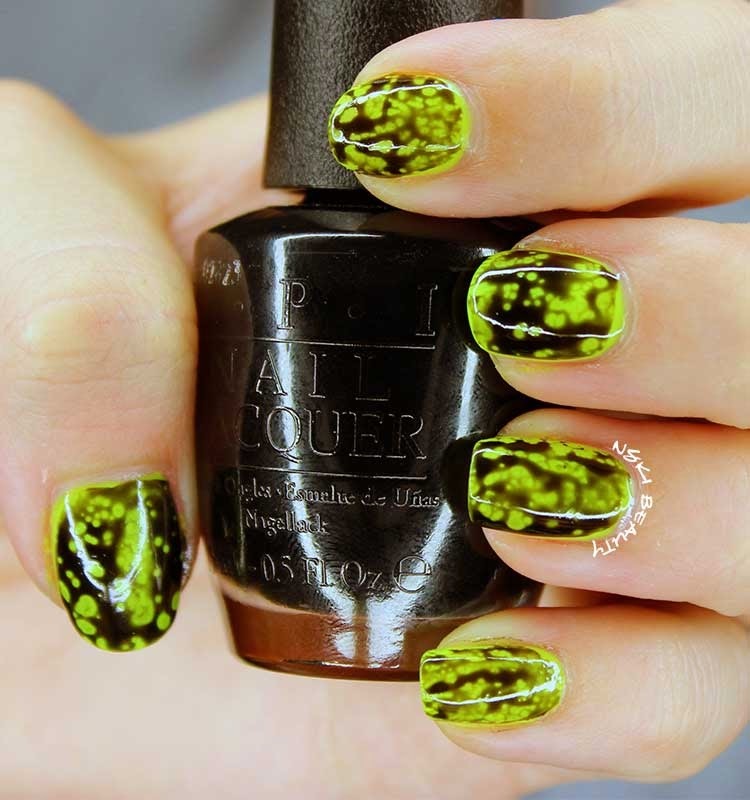 A beautiful summer mani. Take care of that burn. I love your nails. My daughter just did polka dots on mine. I'll have to get this for her. I haven't seen this look before! The gloss is so shiny, I thought it was another design in the middle. Pretty! Wow! That burn looks painful! Love the nails! 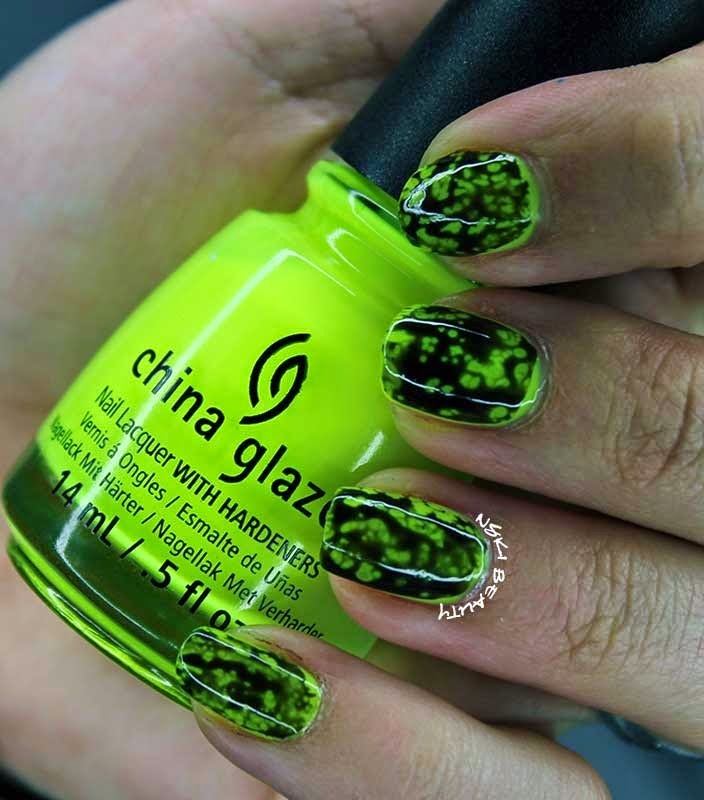 I am loving the nails! I seriously love that mani and OUCHIE! Aack! I'm so sorry for that burn! But the mani is awesome! 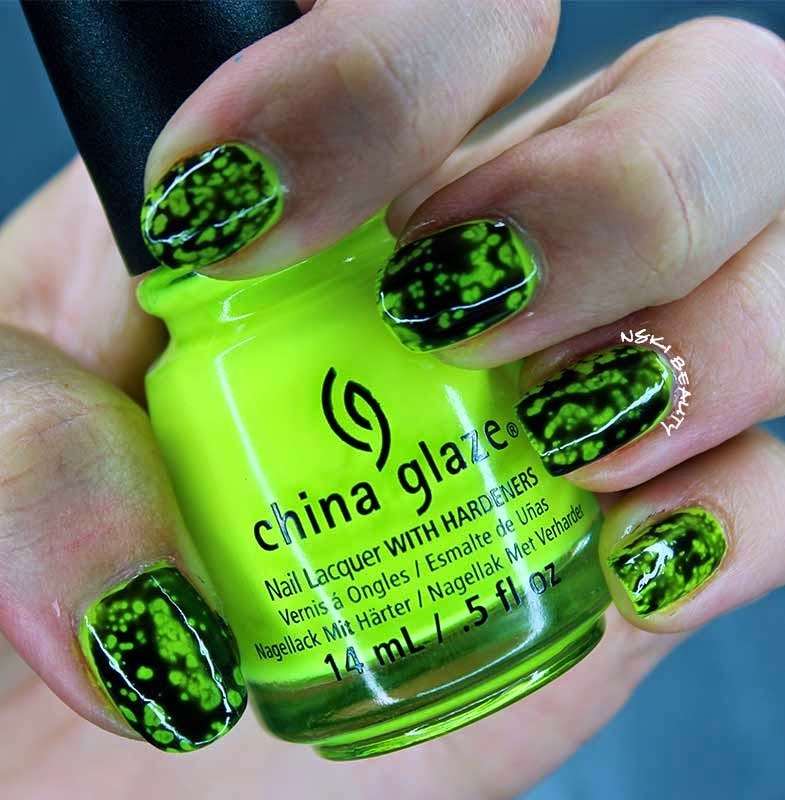 I love the neon in this mani! That is sooo cool looking!